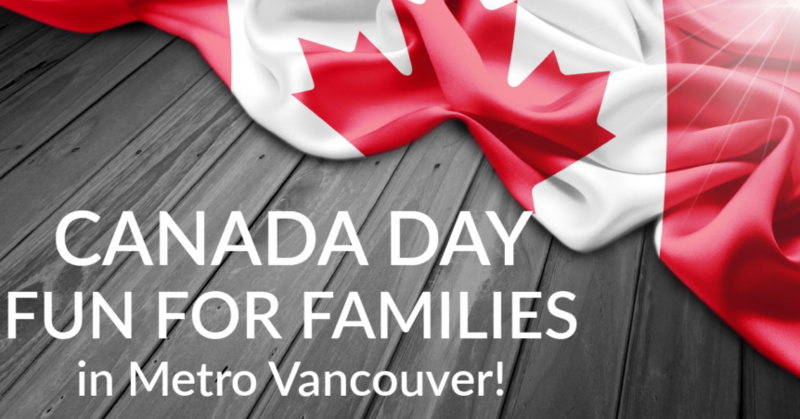 Looking for Canada Day Fun for Families in Metro Vancouver? Below you’ll find activities listed by city so you will know what to travel for and what is close to home. Just click on your city name and you’ll instantly be linked to events where you & your family want to be. We’ve got you covered for Britannia Beach, Burnaby, Chilliwack, Coquitlam, Delta, Fort Langley, Langley, Maple Ridge, Mission, New Westminster, North Vancouver, Pitt Meadows, Port Coquitlam, Port Moody, Richmond, Squamish, Surrey, Vancouver, West Vancouver and White Rock. Please double-check specific event websites before heading out, as event details & times may change. We wish you and your families a fun-filled Canada Day together! Highlights for families: Interactive Canadian history, maple leaf pins and Canada flags. Highlights for families: face painting, music, arts and crafts, bingo, cake, multicultural entertainment. Highlights for families: Daytime: hands-on activities, crafts, and live performances for children and parents alike, a special pop-up market. Night time: food trucks, opening ceremonies, unveiling of the completed Canada 150 Mural Mosaic Project, lively musical performances, fireworks. Celebrating Canada’s 150th Birthday: 12pm-10:30pm, 1299 Pinetree Way. Highlights for families: live music and entertainment, food, beverages, family activities and fireworks, Canada Day procession, birthday cupcake. Celebrate Canada Day in Fort Langley, Langley Centennial Museum: 11 am – 3pm, 9135 King Street. Highlights for families: face painting, mini golf, Pacific Trackless Trains, arts & crafts, inflatables, games, magician, Greater Vancouver Zoo presentation and more! Highlights for families: Farmer’s Market, a community barbeque, children’s games, splash zone, community displays and multicultural parade. Highlights for families: pancake breakfast, singing, dancing, cheerleading, pony rides, face painting, bouncy castles, magicians, dog show, live music, logger show, food trucks, ice cream, birthday cake and much more! Followed by 10pm fireworks at Mission Raceway. Highlights for families: balloon twisting, face painting, family portraits, live music. Highlights for families: Temporary tattoos & flags, largest human maple leaf Guinness World Record Attempt, live music, photos with grizzly mascot, and lumberjack show. Highlights for families: pony rides, pancake breakfast, water fight, youth dj pizza party & basketball tournament, watermelon eating contest, Click & Clown, balloon animals, Canada Day tattoos, face painting, fun with bubbles, a bouncy castle, roving entertainment, Mr. I and the Rainbow Singers. Youth Celebrate Canada Day at Renfrew Park Community Centre – 11am -4pm, 2929 East 22nd Ave. Highlights for families: music, games, arts, crafts and carnival food! Highlights for families: arts, crafts, entertainment, and free cake! Britannia’s Canada Day 150 Celebration at Britannia Community Services Centre – 12:30 – 3pm, 1661 Napier St. Highlights for families: agility shows, face painting, sand art, henna tattoos, balloon twisting, crafts, roving performers, musical playground, crafts, water park, maple leaf tattoos, food festival, multicultural entertainment, Canada day ceremony, cake. True North Strong & Free Canada Day Celebrations at John Lawson Park – 2pm – 10:30pm, 750 17th St. Highlights for families: Kids Zone sponsored by Shaw, West Vancouver Youth Band, fireworks. Canada Day fun for families in Metro Vancouver is right up our alley! We hope you all have a blast!